Our pneumatic solenoids, manifolds, FRL’s, and fittings have the best delivery in the industry. Same day delivery for most items. Our nickel plated fittings have often been used to replace expensive stainless steel fittings in both air and liquid applications. Our NFPA cylinder rods are carburized to last longer than chromed rods and are found on some of the toughest applications where corrosion or abrasive service shotens the life of standard cylinders. 3,4,5 way valves, filters & regulators, inch/metric cylinders,Inch/metric push to connect air fittings. Customized cylinders to meet your requirements. 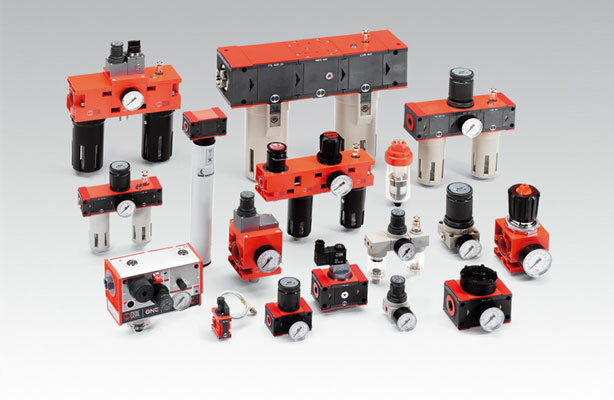 NFPA pneumatic and hydraulic heavy duty cylinders. Nitrocarburized rods for long life. Polyurethane, PVDF, silicone, color coded tubing. Air driven intensifier pumps and gas boosters. IPS offers many options for specific applications such as steam control, combustible gas control, and ON/OFF or modulating control of almost any gas or fluid. For steam we have unique designs in steam solenoids as well as for larger pipes. For larger flows we provide a unique sliding gate design that offers some of the longest life of a ON/OFF or pneumatic control valve for steam applications. For extreme fluids with a lot of particle content we use segmented ball valves designed to shut tight against dirt, slurry, and other particles that typically destroy valve seats. For control of most fluids that require a constant flow or pressure we specify V-port ball valves which have several different angles cut into the ball to provide excellent regulating control in a compact ball valve package. If an off the shelf design does not exist, IPS can often get our factory partners to modify existing designs to meet the unique requirements of your application.